Do Your Calves Ever Cramp When Swimming? Here’s Why! There's nothing like a painful calf cramp to ruin an otherwise enjoyable swim, ya know? 🙁 They seem to happen at the worst times and very often, they'll happen in our most important races. Frustrating! So what's going on? Why do so many triathletes struggle with this issue during swimming? Ridding yourself of the cramping calves will often lead to exactly what you want when you swim, which is a nice compact kicking motion which is both streamlined and also relaxed. "Sometimes I get a cramp in one of my calves while swimming. It can happen in the beginning, middle, or near the end of a workout, and only occasionally - not every time I swim. It may happen just after pushing off the wall, or it may start in the middle of a lap. I don't feel like I'm kicking very hard when I'm swimming. It has never happened in a race, just while training in a pool. I figure I swallow enough pool water during my swims that hydration shouldn't be the issue. Any suggestions on how to prevent them?" 1. Trying to point the toes during kicking, which is active "plantar flexion" and creates tension in the calves. DON'T do this! * DO NOT try to point the toes while you kick. Why all that tension? (this relates to why it happens to triathletes more than swimmers). You're running, and with all of that running is more tension in the calves, simply because they're so active during running (and walking), etc. 1. First, the most important thing: RELAX YOUR FEET AND LEGS. More: Really good "kickers" have very mobile,*floppy ankles. In fact, great backstrokers can lie on their backs on the floor and easily touch their toes to the floor as they point their ankle. Most triathletes can't come close to doing that. Limited ankle mobility means tension when kicking. So what we must do as we are swimming down the lane: think and visualize FLOPPY ANKLES. That's right, just let the feet just flop at the ankle. Relax and release them completely. As you relax your feet and JUST LET THEM FLOP, you'll reduce all of that tension in the calves that leads to cramping. Now, of course, relaxing the feet and letting them flop, DOES NOT give you permission to also flop your knees or relax them. In fact, what I've found works best is if you keep that knee straight and at the same time, flop the ankles, you'll get exactly what you're looking for, which is a nice compact kicking motion which is both streamlined and also relaxed. When I say "straight knee," I am really saying to keep it straight - locked out. What will most likely happen is that your knees won't actually "lock," but they will bend less....which is a good thing. From my experience videotaping dozens of triathletes: those with the worst kicks will bend their knees a LOT, and their ankles a little. That looks ugly on video. Great kicking comes primarily from floppy ankles. Just check any backstroker (where kicking makes up a great majority of their propulsion). 2. Second, and really importantly: make sure you keep those calves stretched out and nice and long. They will tighten up from running and over time, shortness in that area raises risk of running injury, and also leads to increased risk of cramping. To avoid cramping in the calves while swimming, keep the calves LONG, and relax those feet and think: FLOPPY ANKLES. And lastly, do all of your swimming in the JACUZZI! ps: got additional swimming questions or anything training related? Jump onto our FACEBOOK page and ask away! Hi Everyone! Coach Al here. I've got a quickie for you today, talking swim technique and common mistakes I see in developing triathletes. As many of you know, for novices (and even for those who have experience) the swim portion of a triathlon is often THE segment of the race that creates the most amount of anxiety and nervousness. As a result, many triathletes spend countless hours doing drills up and down the pool to improve their technique, hoping that the changes they learn and practice WILL make the swim portion of the race easier come race day. The problem becomes, what if you're not working on the right skills or worse, grooving less-than-optimal form, in your attempts to improve? In my experience, there are two mistakes that I see over and over again, that are arguably the most common mistakes. Today I shot a quick video so you can see for yourself. Ironically, the 2nd mistake I point out is very likely one of the reasons why the 1st mistake is often happening and therefore difficult to correct. To summarize, if you roll excessively to the side, not much else matters! Why? Because there really is no way you can get into a good catch from an "all-of-the-way-onto-your-side" position, without first returning or rolling back to a more prone position. 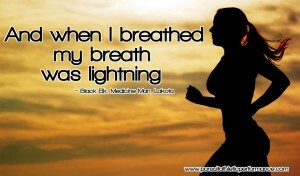 And, rather than feeling fast or stable, you may actually feel the exact opposite. Want to learn more? Check out this great video from Vasa (and elite swim coach Karlyn Pipes) on Better Freestyle Body Rotation. And here's another: In this video, Karlyn discusses fingertip orientation. Check it out. Go other questions? Hit me up on our Pursuit Athletic Performance Facebook page! ps: if you'd like to learn more about Karlyn and the services she offers designed to help you improve, go to her website here! pss: we are HUGE fans of the Vasa Ergometer here at Pursuit Athletic Performance. Very few swim training tools offer a larger bang-for-your-buck than the Vasa. Check them out if you want to take your swim to the next level. As many of you well know, calf cramps while swimming can be quite common, especially for triathletes...and there's a very good reason why. Some athletes think it has to do with hydration or an electrolyte imbalance. It's neither. So why do these occur? 1. Trying to point the toes during kicking, which is active "plantar flexion" that creates tension in the calves. DON'T do this! DO NOT try to point the toes while you kick. 2. The other thing, which is somewhat related, is that there is OFTEN simply too much TENSION in the lower legs, period. 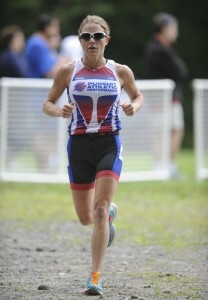 Triathletes run. And with all of that running there is tension in the calves, as they are so active during that endeavor. Often, what adds to the tension is the colder temps you find in some competitive pools. With colder temps, tension rises (which is why I love jacuzzis! 🙂 ). 1. First, the MOST IMPORTANT thing: RELAX YOUR FEET AND LOWER LEGS. The term I use to describe how to kick correctly (while reducing the risk of cramping in the process) is FLOPPY ANKLES. Really good "kickers" have very mobile, floppy ankles. In fact, great backstrokers can lie on their backs on the floor and easily touch their toes to the floor as they point their ankle. Most triathletes can't come close to doing that. Limited ankle mobility means tension when kicking. So what we must do as we are swimming down the lane? It's simple. Think: FLOPPY ANKLES. Let the feet just flop. Relax and release them completely. Of course, relaxing the feet and letting them flop DOES NOT give you permission to also flop your knees or relax them. In fact, what I've found works best is if you keep that knee straight, and, at the same time, flop the ankles, you'll get exactly what you're looking for, which is a nice compact kicking motion. The bonus is this motion is, at once, streamlined and relaxed. When I say "straight knee," I am really saying to keep it straight--locked out. What will most likely happen is that your knees won't actually "lock," but they will bend less, which is a good thing. From my experience videotaping dozens of triathletes, those with the worst kicks will bend their knees a LOT, and their ankles a little. That looks ugly on video. 2. Second, make sure you keep those calves nice and long. Stretch. They will tighten up from running and, over time, shortness in that area raises risk of running injury. It also leads to increased risk of cramping. How We Trained A Top Junior Olympic Gymnast, and How it Applies to YOU! Our client, 14-year-old David Jessen--a fantastic and talented young man--took the silver medal at the US Junior Olympic National Gymnastic Championships in Cincinnati this weekend. After four grueling days of competition, David stunned audiences with his outstanding performance in the last round of the Men's All-Around to stage a come-from-behind 2nd place finish! David competed against a 192 person field comprised of the best regional gymnasts from across the nation. He also won silver in men's pommel horse, vault, and horizontal bar. We are very proud of David, and so happy for him! While we often talk in this blog in terms of training runners, cyclists, swimmers, and triathletes, at PAP we work with an array of athletes ranging from an NFL offensive lineman (Zach Hurd of the Oakland Raiders), to novice runners, to an elite level gymnast like David. The need for a solid foundation, which starts with quality movement, is universal for any athlete in any sport, and it is ESSENTIAL for top performance. It is essential for YOU. David's story is a good illustrator of that point. Here's a brief synopsis of our findings when we put David through our gait analysis process, and a recap of how we helped him overcome muscle imbalance, compensation, and dysfunction, all which were holding him back from a personal-best performance in gymnastics. We worked with David over a period of about 4 months, and will continue to do so. 1. He was upper extremity dominant in many of his movements. He would absolutely need to become more balanced with an equal contribution of stability and strength coming from the lower extremities. 2. He was not as stable through his pelvic girdle as he needed to be. 3. His hips were not equally strong or stable in all three planes of motion, particularly the side-to-side frontal plane. 4. Prior injury had created asymmetry and compensation. If these issues were not addressed, the imbalances would, indeed, limit the improvements he needed to make in his gymnastic performance. Based on the above assessment, we knew David would not perform to his potential in the events most likely to expose these weaknesses, such as the floor exercise. After our assessment, we understood why he occasionally had trouble "sticking the landings," consistently falling out to the right side. 1. First of all, we helped David understand, intellectually, how basic movement quality impacts gymnastics performance, and how his specific limiters would negatively impact HIS performances. 2. We prescribed specific exercises for the hips/glutes to address muscle strength imbalances, and develop better strength in the tissues. Gaining proper strength where HE needed it directly translated into better movement--and better performance. He could train better, recover, and, thus, up his chances of outstanding performance in competition. 3. We prescribed basic core stability movements, and taught David how to progress of the exercises over time. Our work with David is a clear illustration of the impact quality movement has on sport performance. It does not matter if you are Olympic bound, or running your first 5K. We can help you make the the same kind of powerful changes in YOUR body through gait analysis and prescriptive training designed specifically for YOU. We wish David the very best as he continues on the elite gymnastics competition circuit. Next up for him is the Visa Championship in St. Louis in June. We'll be cheering! David trains at Rhode Island Sports Elite Gymnastics, aka RISE Gym in Warwick, RI. He is coached by Vasili Vinogradov, who was on the Russian National Team and has placed several gymnasts in the World Championships, and by Vladimir Mureso who was on the Czechoslovakian National Team. David is also a High Honor Student at Tollgate High School, and enjoys mathematics, sciences, and music. As runners, swimmers, cyclists, and triathletes we're always talking about the next workout, paces we strive to achieve, upcoming races on the calendar. Sometimes we need to, literally, take a breath and think about some very fundamental ways our bodies are working. It's why we are taking the time to write about our most involuntary of actions--breathing--and how it can be trained to help maximize your athletic pursuits. Many cultures believe the simple process of breathing is the essence of being. As many of you know, in yoga the breath is known as prana, or a universal energy. In our previous post we talked about how sport training should absolutely include work on diaphragmatic breathing techniques. Today, let's talk about the idea of doing more to integrate this "universal energy" with athletic movement. Isn't it amazing how "hard" some movements are when our breathing isn't connected to that movement? Conversely, how much easier do things feel when we connect and integrate our breathing into all we do? We believe the integration of the breath with athletic movement may be the most under appreciated and underutilized aspect of moving better and getting stronger. And it's all so simple. The key to utilizing this powerful tool? It begins with AWARENESS. Simple awareness. Think about the relaxed rhythm you need when swimming to generate efficient and powerful strokes. Integrating the breath is a central component, is it not? 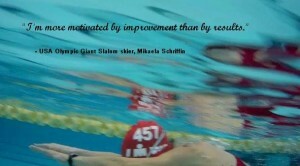 Mess up the breath when swimming, and efficiency and smooth easy speed go out the window. Runners who breathe deeply and diaphragmatically can run at a faster pace with less effort. Breathing deeply, in and out through the nose and mouth not only gets more air into the lower lobes of your lungs, it also helps you maintain better posture and a relaxed composure. The next time you watch a good cyclist climb powerfully yet relaxed, you can be sure proper, rhythmic, deep breathing is part of that easy-seeming form. How to work on your breathing? The first step is to simply become mindful and aware of what you are doing and how you're doing it, by integrating the diaphragmatic inhalation/exhalation exercise into your daily routine. It is deceptively simple, but it takes focus and practice. To begin, lie on your back on the floor. This position creates an enhanced postural awareness. Be sure your pelvis is in a neutral position, and your shoulders are relaxed down and back with palms facing up. Put one hand on the stomach area and the other on the mid chest area. Relax as much as possible, allowing your body to "sink" into the floor. This position of lying on your back creates enhanced postural awareness; however, this exercise can be practiced in other positions. Start by recognizing (awareness) where the breathing movement is taking place at that moment. Do you recognize which area is moving? Can you feel the movement more under the hand which is on your stomach, or under the one on your chest? Don't make judgments at this point about what is "good" or "bad," or even try to change what you are doing, just observe and become aware of what you are doing, however subtle it might be. Now that you are aware of what you are doing, you will begin to change and shape your breath. The first step is to focus on extending each EXHALE. That is, each time you exhale, simply try to lengthen how long you breathe out. Next, can you change that exhalation so that the hand over your stomach sinks inward under your hand? Once you start to feel it moving under that hand, try to increase the depth and intensity of the exhalation. Now that you are feeling your belly sinking to the floor as you exhale, have you also noticed the movement that occurs naturally during the inhalation that follows? Your stomach, which sank during the exhale, is now bulging outward as you inhale. What is happening? It is simple but profound: the diaphragm is descending caudally (toward the pelvis), causing your belly to move outward. Now that you are breathing diaphragmatically, see if you can both increase and decrease the amplitude of the movements. Remain aware of what is moving. Relax and try to feel the same movements whether you are inhaling a small volume of air, or a larger volume of air. Nice work! Be aware that as you practice, you may find yourself falling back into chest breathing. No worries, pause for a moment and come back to your awareness. This seemingly simple exercise is the basis for learning a new and powerful way to breathe more deeply and fully. It is a technique that will unleash more powerful athletic movements and performance! Lastly, for now, as you bring this awareness into your athletic training, be sure to EXHALE on exertion, INHALE on recovery. Be aware when you are holding your breath when you shouldn't be. Breathe deeply. Take the time to work on your breathing. It's free, you can do it anywhere, and it is the most pleasant of all training exercises. Every Breath You Take, Part 1: Do You Know How to Breathe? can be found here. Learn Something New About How You’re Moving! Moving authentically = quality learning = improving skills = more efficiency, economy and better production of force = more power = more speed! Moving poorly or not correctly = poor learning = less skill development = less power AND increased risk of injury = stagnant or lack of improvement, or worse, injury and burnout, mentally and physically. I fully believe that my enthusiasm for what I do as a coach and athlete is grounded in the idea of continual LEARNING and growth, NOT in simply training hard and racing. 1. Find a coach in your area who is versed in training on the Vasa swim ergometer. (The Vasa is such a great training tool, and we'll talk more about that in future posts.) Being on the Vasa with someone who can give you appropriate feedback is a great way to LEARN about how you move when you swim. We have no reason when on the Vasa to NOT move correctly. Swimming or any other movement starts with executing some basic proper skills. The Vasa is great for this skills-based learning. 2. Videotape yourself in the water. Video work is essential! How else will you know what you're doing? And if you don't know what you're doing, how can you know what must change to improve? Start videotaping yourself, and do it routinely. Start now. We spend so many hours training, yet so few of those hours are spent really trying to understand what we should do, vs. what we are actually doing. In my mind, that adds up to a fairly large amount of wasted time and energy.